Many of the patterns in the Milton Model are just Meta Model patterns ‘in reverse’ – chunking up for abstraction and vagueness, rather than questions drilling down to specifics. This article considers the patterns we can class as ‘Distortions’. And I know you remember that ‘mind reading’ in NLP describes when someone is speaking as if they know what’s going on in the mind of the listener. And just by saying you know what’s in their mind, you can put the idea or feeling or even action that you’re talking about into their head. I expect you’re wondering ‘how does that work?’ – Well, if you weren’t wondering before, you probably are now. And you could be thinking ‘how can I use this in real life?’ And right about now, I know that you’re thinking of real-life ways that you can use it, and pretty soon you’re going to have a couple of ideas for how this pattern can put ideas in your listener’s mind. What’s the relevance of this to influencing? If you ask people to do something, their minds automatically demand a reason, and mostly they won’t move on until you give them a reason. Now here’s the interesting thing: it’s not that important if the reason makes sense, as long as there is a reason. There’s a photocopier in library with long queue. What proportion of people would let you in, do you think? According to the study it was nearly all of them: 94%. What proportion do you think would let you jump the queue this time? It turned out to be 60%. So what’s the difference? The first time, they gave the people in the queue a reason or cause: “because I’m in a rush”. “Excuse me, I have 5 pages. May I use the Xerox machine, because I have to make some copies?” So this time you’ve given a reason for jumping the queue, but it’s not a valid one – everyone queuing for the photocopier has to make some copies. The proportion that would let you in this time was… 93%! So the difference between giving a valid reason and giving a reason that’s not valid is just 1% – and either one is over 30% more persuasive than not giving a reason at all. Our minds just think in cause and effect linkages, and once they see that structure, they’re not so bothered about whether the cause is really responsible for the effect. If you realise that, then you’re well on the way to becoming a master of influence. So that ‘if-then’ structure is another one you could use – notice it works equally well if you leave the ‘then’ out, because your mind is expecting it once it sees the ‘if’. You can use other words than ‘if’ – “Once you realise that, you’ll be a master of influence”. It’s still saying that realising that point will cause you to be a master of influence. Again, you can imply cause and effect using a negative and the word ‘unless’: “Don’t take the time to practice using these patterns unless you want a dramatic increase in your power to influence people”. Here’s one more format, which goes ‘the more A, the more B’ or ‘The more A, the less C’: “The more times you read these articles, the more you’ll find yourself wanting to try out the Milton Model in real life.” The more you practice, the easier it gets. Or – the more you use the Milton Model, the less resistance you’ll meet. That’s a very common pattern, and now that you’ve heard it, you’ll spot it all over the place. (That last sentence was yet another version of the cause and effect pattern, by the way). “This is that” or “This means that”. You’re saying that something is the same as something else, or that it’s a sign of something else. Did you remember that’s what complex equivalences are? If you did, that’s a tribute to your powers of memory. And if you didn’t, that means you need to listen to the podcast episode about complex equivalences in the Meta Model a couple more times. When you link two separate things as a complex equivalence, you get the listener to look at the first thing in a different way. 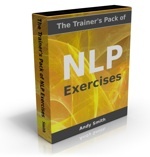 People sometimes get confused when they start learning NLP, because it’s such a different way of looking at things. Confusion just means your mind is taking in new information, before it’s fully integrated. In fact, confusion is a natural step in learning – right before understanding. What’s presupposed there? That you’re going to solve the problem. There are two presuppositions in that one: that you’re going to tell me what you need, and that there is some way that I can help. 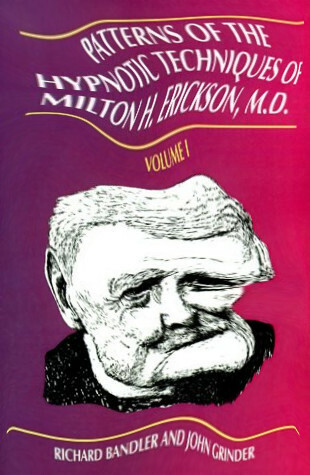 So that’s the Distortions part of the Milton Model – Mind-reads, Value Judgements, Cause and effect, Complex equivalences, and Presuppositions. These are the same patterns you find in the Meta Model, but you’re just using them in a different way.